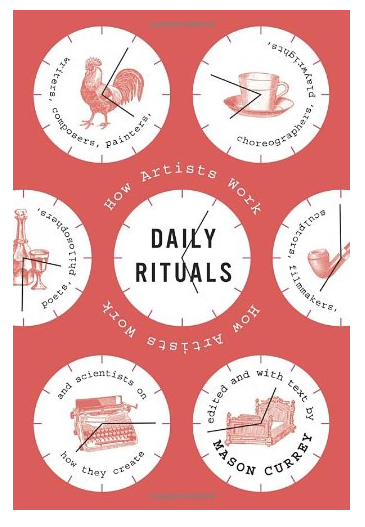 Daily Rituals: How Artists Work is a collection of short vignettes about how people (writers, artists, scientists, composers, poets ...) create. I found it surprisingly engaging and packed with great quotes and stories about famous creators ranging from Albert Einstein to Louis Armstrong to Maya Angelou. It's a great way to think about your own creative process(es)! Available from Amazon and other booksellers.